Tickets are on sale now for My Fair Lady, perhaps the most beloved Lerner & Loewe musical of all time, which returned to Broadway at the Vivian Beaumont Theater in spring 2018, courtesy of Lincoln Center Theater. The original cast included two-time Emmy Award-nominated "Six Feet Under" star Lauren Ambrose, taking on the lead role of Eliza Doolittle, with "Downton Abbey" and "The Crown" actor Harry Hadden-Paton making his NY stage debut as Henry Higgins, whilst two-time Tony winner Norbert Leo Butz and "Game of Thrones" favorite Diana Rigg have been cast as Alfred P. Doolittle and Mrs. Higgins, respectively. Marking the first Broadway revival in 25 years, the brand new production is directed by Tony Award winner Bartlett Sher and is another shining example of Sher doing what Sher does best. Following his tremendous successes with South Pacific and The King and I, he has created yet another lavish and nostalgic representation of a timeless classic. With grand sets and elaborate costumes most directors would die for and rousing musical numbers galore, the audience is spoilt by an embarrassment of riches. Sher's interpretation of the ending of the piece may also surprise some attendees, but is actually more in line with the musical's original source material - George Bernard Shaw's Pygmalion. Kudos to Lincoln Center Theater for once again proving itself as the frontrunner in staging Broadway musical revivals. My Fair Lady, which won six Tony Awards in 1957 including "Best Musical", features the musical theatre standards “I Could Have Danced All Night”, “Get Me to the Church on Time”, “Wouldn’t It Be Loverly”, “The Rain in Spain”, “I’ve Grown Accustomed to Her Face”, and “On the Street Where You Live”. Adapted from George Bernard Shaw's play and Gabriel Pascal's motion picture Pygmalion, My Fair Lady​ tells the story of a cockney flower girl named Eliza Doolittle, who attempts to pass as a lady after taking speech lessons from phoneticist professor Henry Higgins. 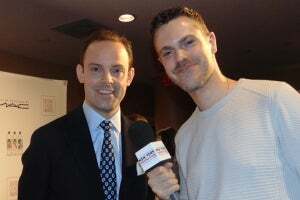 Lincoln Center Theater in association with Nederlander Presentations Inc.
Tony Award nominee Alexander Gemignani will head back to Broadway and take on the role of Alfred P. Doolittle in Lincoln Center Theater's celebrated revival of Lerner & Loewe's classic musical My Fair Lady from April 30, 2019. He succeeds current cast member and six-time Tony Award nominee Danny Burstein, who is scheduled to play his final performance in the role on April 28. Here's some 'loverly' news! Tony Award winner Laura Benanti has extended her limited engagement in Lincoln Center Theater's celebrated revival of Lerner & Loewe's classic musical My Fair Lady. Originally scheduled to play her final performance on February 17, 2019, she will now remain with the production through to July 7, 2019. Get them to the theater on time! Six-time Tony Award nominee Danny Burstein and Christian Dante White return to the Great White Way tonight and assume the roles of Alfred P. Doolittle and Freddy Eynsford-Hill, respectively, in Lincoln Center Theater's celebrated revival of Lerner & Loewe's classic musical My Fair Lady at the Vivian Beaumont Theater. Mr. Burstein is scheduled to play a limited 16-week engagement through to April 28, 2019, and will go on to star as Harold Zidler in the Broadway premiere of Moulin Rouge! The Musical from June. 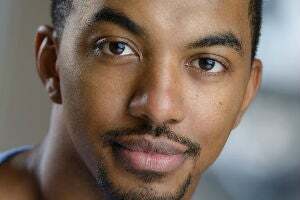 Lincoln Center Theater has announced that Christian Dante White will assume the role of Freddy Eynsford-Hill in My Fair Lady. White will make his debut performance in the production on January 8, 2019, taking over the role from Jordan Donica, who originated the role in the Broadway revival. He adds My Fair Lady to an impressive list of Broadway credits, including Hello, Dolly!, The Book of Mormon and The Scottsboro Boys (Off-Broadway, Los Angeles and London productions). Tony Award winner Laura Benanti and Lincoln Center Theater are a match made in musical theatre heaven! The Broadway favorite returned to the boards on October 23, 2018, to take on yet another legendary role, adding another string to her bow and further cementing her legacy as a leading lady of the Great White Way. She is going to be dancing all night! 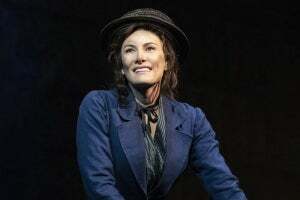 Tony Award winner Laura Benanti returns to the Great White Way tonight, assuming the leading role of Eliza Doolittle in Lincoln Center Theater's cherished revival of Lerner & Loewe's classic musical My Fair Lady at the Vivian Beaumont Theater. 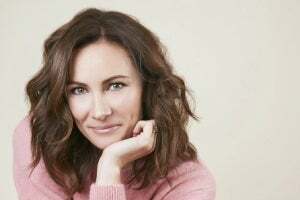 Ms. Benanti will play a limited engagement through to February 17, 2019. Original cast member and Tony Award nominee Lauren Ambrose played her final performance in the role this past weekend. Making his New York stage debut as leading man Professor Henry Higgins in Lincoln Center Theater's acclaimed revival of My Fair Lady at Broadway's Vivian Beaumont Theater is British star Harry Hadden-Paton. To say his debut has been a success is quite the understatement, earning rave reviews from the critics, receiving a Theatre World Award and he is currently nominated in the category of "Best Performance by an Actor in a Leading Role in a Musical" for both the Tony and Drama Desk Awards.